Take a break from Hana with a short trip to Haleakala Crater in Haleakala National Park, about 52 minutes away. Spend the 31st (Wed) exploring the striking scenery along Hana Highway - Road to Hana. There's lots more to do: admire the majestic nature at Wai'anapanapa State Park, take an in-depth tour of Hana Cultural Center, enjoy the sand and surf at Hamoa Beach, and get a taste of the local shopping with Hana Coast Gallery. To see photos, ratings, maps, and tourist information, read Hana trip itinerary website . Los Angeles to Hana is an approximately 9.5-hour combination of flight and car. You can also fly. Due to the time zone difference, you'll gain 2 hours traveling from Los Angeles to Hana. Plan for a bit warmer temperatures traveling from Los Angeles in July, with highs in Hana at 89°F and lows at 72°F. Cap off your sightseeing on the 1st (Thu) early enough to go by car to Lahaina. 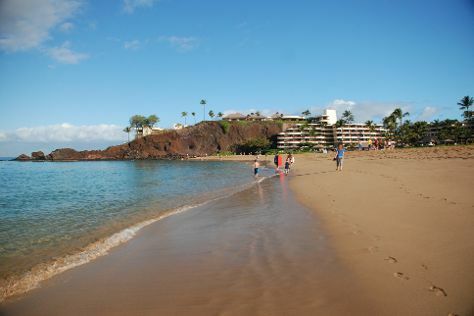 You'll find plenty of places to visit near Lahaina: Wailuku (Maui Tropical Plantation, Iao Valley, & more), Wailea (Wailea Beach, Maluaka Beach, & more) and Ho'okipa Beach Park (in Paia). The adventure continues: tour the pleasant surroundings at Ka'anapali Beach, find your balance on the water with some of the best stand-up paddleboarding in the area, enjoy the sand and surf at Napili Beach, and discover the deep blue sea with a scuba or snorkeling tour. To see maps, traveler tips, ratings, and other tourist information, use the Lahaina trip maker . Drive from Hana to Lahaina in 2.5 hours. Alternatively, you can do a combination of taxi and bus. August in Lahaina sees daily highs of 86°F and lows of 74°F at night. On the 10th (Sat), you'll travel back home.